As I said before, I’ve been away from this hobby a year or 10. Because of a very busy QRL, I had no time to do my hobby from the home QTH. Only during Holidays a was a bit active from Germany. Arround 2003 my antenna-tower rusted so bad, that I must decide to put it down. When I came back on Air again in 2012, many things seems to bee changed. Besides CW, SSB and Packet-Radio lots of new Digital Modes are added to our hobby. Time for hands on and experience these new modes. I was moved back in the meantime to Geertruidenberg again. I renewed my contacts with other Hams I’ve knew before. Bert, PA1BM (former PD0EAG) seems to know a lot of these new modes and was also using them. He told me how to use them and what I need on extra hard- and software. To start, I must have a Audio interface and cables to connect my Yaesu FT-897D tranceiver with my PC. PA1BM told me wat I needed. He also knows what and where to buy. In our region many other Ham’s have build their own interface. Using a Kit from Funkamateur in Germany. I’ve seen this Interface at Berts place and experienced it online. It worked very well. 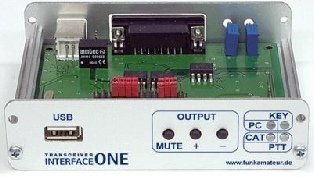 I ordered the Interface One kit and parts in Germany and afther a week or so it was ready for using it. Besides building a Interface, I also had to make a choice what program to use for Digital Modes vai the Radio. Lots of programs have been available : Fldigi. MixW, HRD, Winpsk, MultiPSK and many others. 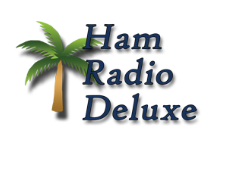 Initial I started with the Free Version of MixW, but shortly afther I switched to Ham Radio DeLuxe met DM 780. Many manuals and descriptions are available for HRD on the Internet. They describe how to connect and how to setup the program on a specific brand or type tranceiver. For Fldigi it seems more difficult ? So I decided to write my own manual how to do it en which settings are needed. I’ve already publiced this manual on several sites. Because the Yaesu FTDX-3000D has a build in interface, you just need the right driver software to activate 2 Virtual Enhanced COM-ports. The links below give you all the information you need on the Yaesu FTDX-3000D Tranceiver. When you follow the instructions, everything works fine. Download CoM-port driver software at the official Yaesu FTDX-3000 page and follow the instructions. The manuals you can download here online !